I have some big news in the world of Car Dealer Facebook giveaways!!! 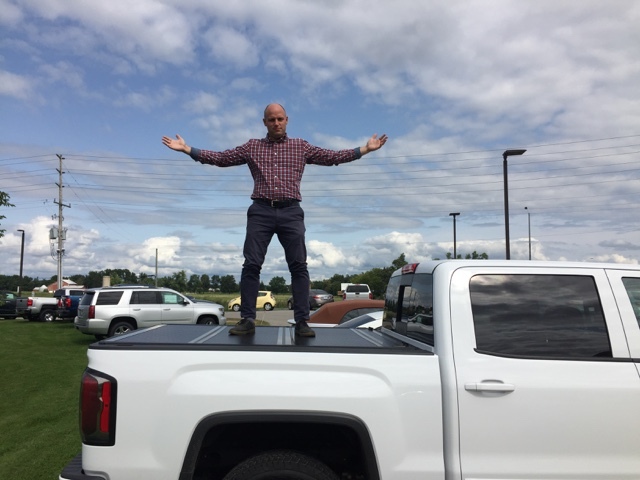 A Toyota dealer in my back yard has just launched the biggest Facebook Giveaway in Ontario’s history ( I think .. I have no proof and do not plan to research this). They are giving out a brand new F$%# IN car!! Toronto Automotive Marketing Guru Brent Wees just let me know that Mississauga Toyota is ready to Pony Up a brand new Toyota Yaris to the winner of their new Facebook Contest which is crowned as “Park a Yaris”. You heard right, a car dealer is giving away a free car via their dealership Facebook page. With the new Facebook Timeline, I find it a bit trickier to quarterback these type of promotions due to the layout restrictions. If you simply click the box just left of “Like” you will see the Park a Yaris tab. I’m glad to see that Mississauga Toyota had thought this out before launching the promotion. I personally think the old layout was way better to when trying to draw attention to the “Contest”. As of today Mississauga Toyota has 952 “Likes” but I’m sure you will see that number multiply as the name of the game is getting friends to also join in the fun. Take a read of the official Press Release. PS…. I joined the contest! 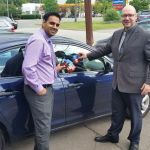 In the social media space usually dominated by the big car brands, Mississauga Toyota, a single-point dealership, has taken a leap into the world of Facebook contests in a very big way. With the Park A Yaris Contest, their goal is simple – to give away a 2012 Toyota Yaris Hatchback. But, through a fun and engaging world on their Facebook page, they’ve taken one of the more mundane elements of driving – parking – and turned it into an exciting way to enter for a chance to win weekly prizes and the Grand Prize of a Toyota Yaris. In the last 12 months, Mississauga Toyota has been shifting their advertising efforts online and this contest represents their greatest achievement to date. With a rich interactive entry mechanism, users can select the colour of their Yaris, add their profile picture and explore a virtual parking lot filled with exciting illustrations. With a heavy focus on sharing, users earn extra entries for every friend that enters the contest after they’ve referred them. Combined with a very modern and urban design, this ambitious project illustrates Mississauga Toyota’s commitment to standing out as an innovative dealership and marketer. Mississauga Toyota is a family owned and operated business located at 2215 Dundas St. East just west of Highway 427 in Mississauga, Ontario.